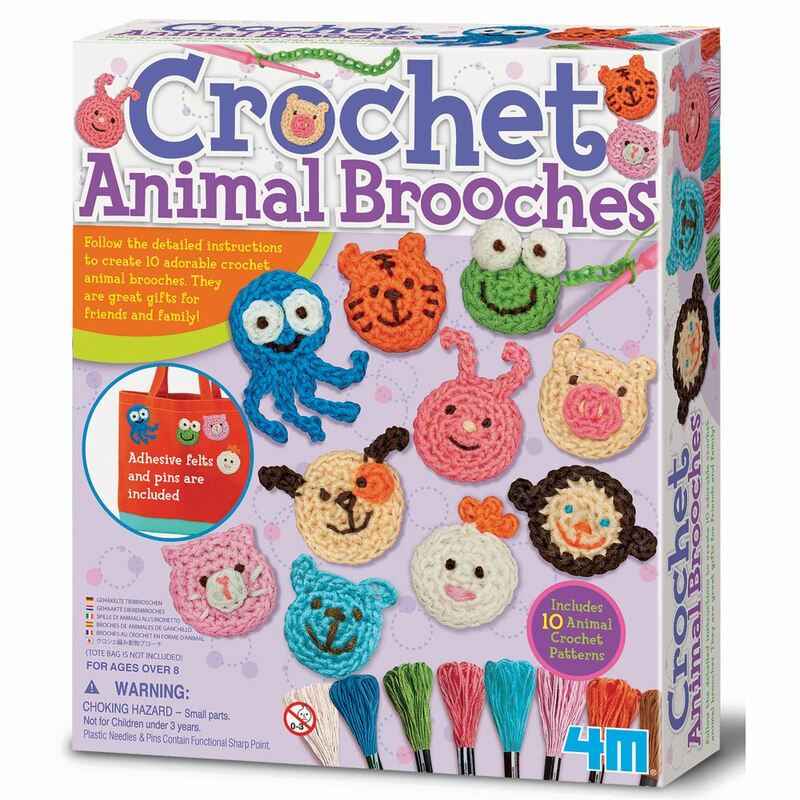 Follow the detailed 4M instructions to create 10 adorable crochet animal brooches. A great gift for friends and family! Includes: 2 plastic needles, a plastic crochet hook, coloured threads, safety pins and detailed instructions. Age 8+ years. Distributed in New Zealand by Holdson.